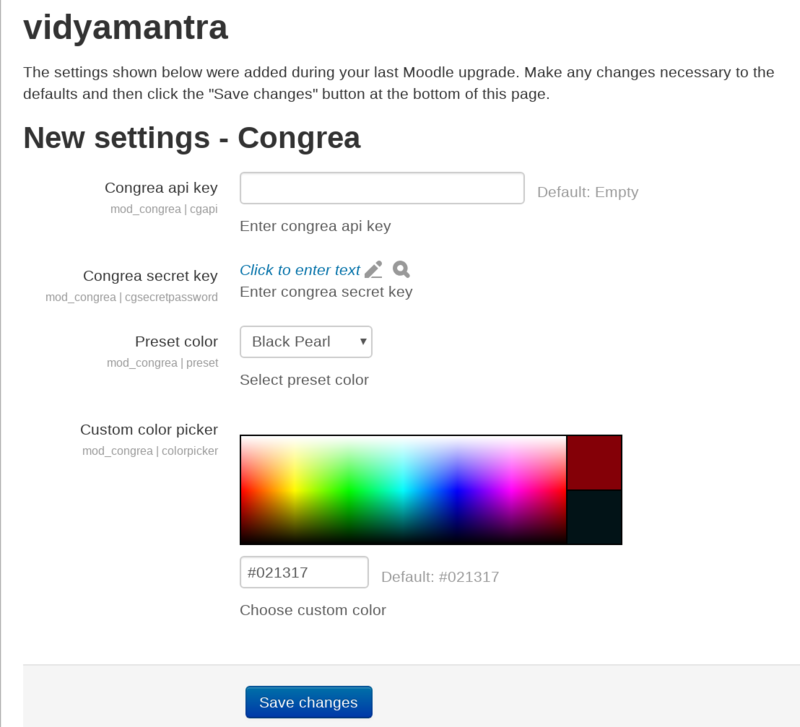 How to add Congrea as an activity? 2.How to add Congrea as an activity? *Note : The below section is explained using the “Clean” theme of Moodle. 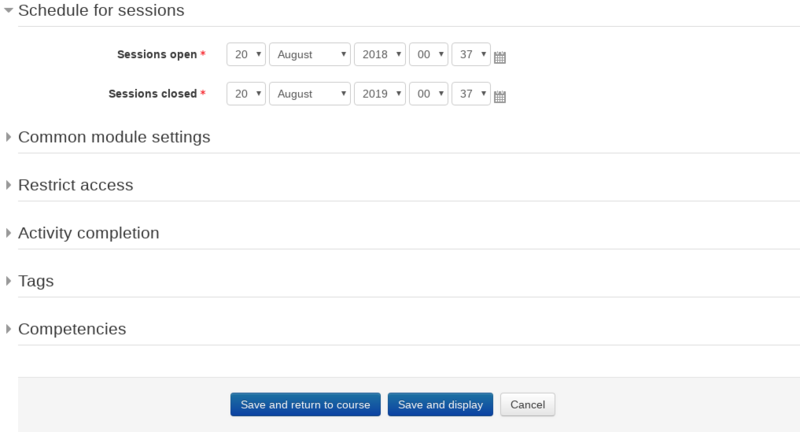 The teacher selected under Congrea settings will have the presenter access for all the sessions in that activity, while all other course participants will join with student permissions. 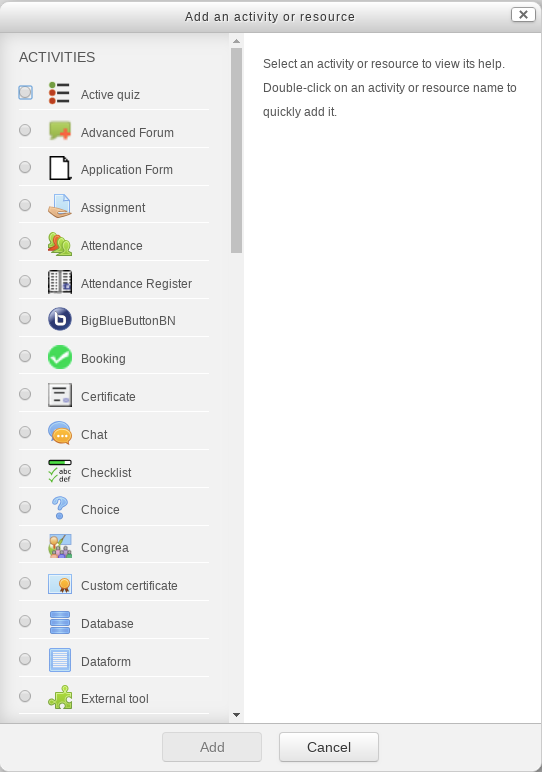 Apart from the several dynamic features of Congrea, you can also realise its other capabilities that are exclusively available through using it on Moodle. 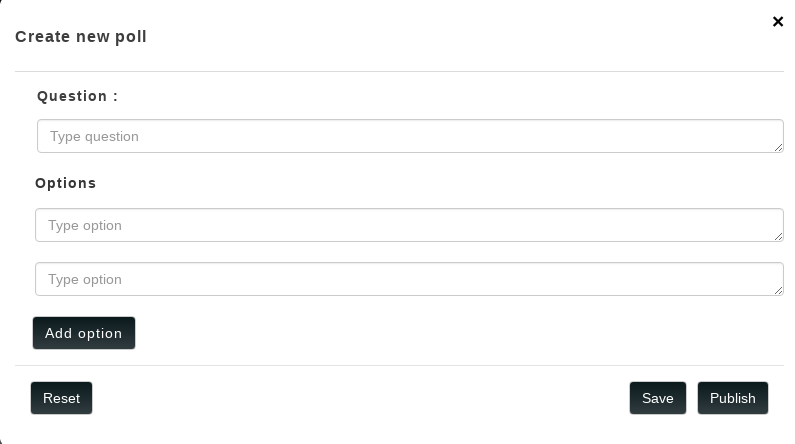 The main prerequisite for publishing a quiz on congrea is a plugin named Quiz, which should be added on your course from Add an activity or resource section. How to publish the quiz? How to review the quiz report on Moodle? How to run a poll? How to review the Poll report on Moodle? Once you add Congrea, you can run several sessions in different timings on the single activity i.e., there in no limit on the amount of session taking place in Congrea (of course the sessions must be timed differently) .